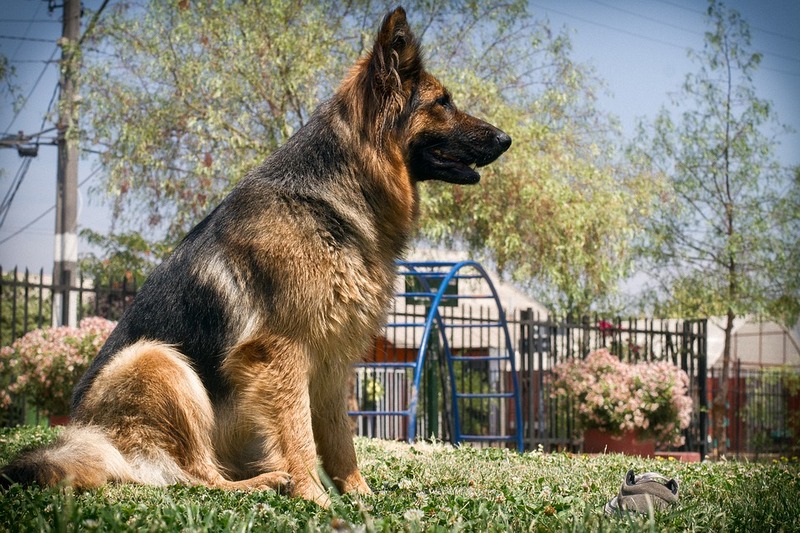 Let’s talk about one the world’s most popular dog breeds, the German Shepherd. We see them everywhere doing all sorts of things. They are a very popular breed for good reason. Not only are the smart and adorable, they are also very loving and hardworking dogs. We see them helping sniff bombs, assist blind people, rescue people in disasters, and of course as their name implies, herd livestock animals like shepherds. 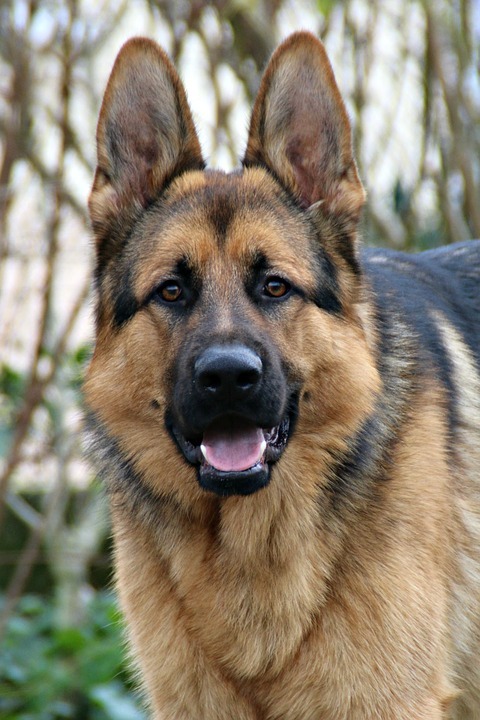 Dating back to around 1899, the German Shepherd, compared to older breeds, is relatively new. It was the idea of a German Cavalry Officer, Captain Max Von Stephanitz to have a German herding dog breed that would be better than its European counterparts. The result of his work is the German Shepherd breed of dogs. From herding, the German Shepherds where also utilized by the German Police and Military. 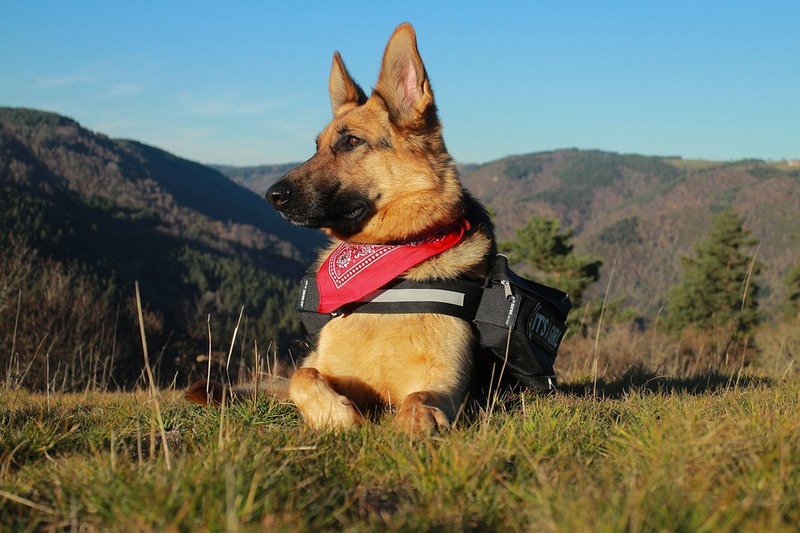 During World War 1, the German Shepherds were messengers, rescuers, and sentries. The breed become popular in the US when an American soldier rescued a pup from a war torn kennel. He brought the pup back home to the US and gave him some training. Eventually the pup grew up to become one of the most iconic dogs in Hollywood, Rin Tin Tin. 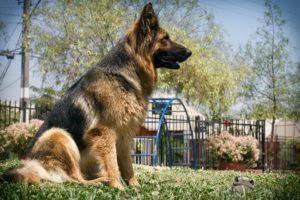 Today, there is a significant difference between the breed propagating in the US compared to the original German Breed. The American breed is more focused on the look as they are more for show rather than performance. The German breed on the other hand goes through rigorous test setup buy Stephanitz to ensure that the breed continues to be a hardworking dog. Recently US breeders are making efforts to bring back the breed to its original purpose as man’s best working friend. They are very intelligent and capable of almost any task. With the proper training, they are able to be very good at any job they are given. This is why we see German Shepherds as part of rescue teams, law enforcement, military, assisting handicapped people, dog competitions, and herding of course. They need companionship. They should not be left alone for long periods of time or else they will most likely get bored and upset. When they do, they usually expend their feelings of anxiety and boredom by incessant barking, chewing on anything the can get their teeth on or scratching/digging. They need a lot of activity. 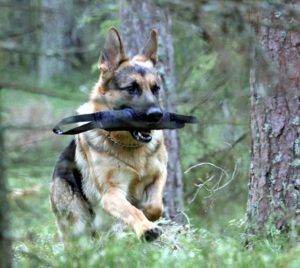 German Shepherds generate a lot of energy which the need to release regularly. They need to regularly exercise both their minds and body. To keep them physically active, they can have daily runs and playtime. To keep their minds active, weekly training sessions is a good option. Giving them regular tasks is also a very good method of keeping them in good shape. Tasks such as getting the newspaper, closing doors, or fetching things helps. They can be very wary of strangers. This is one reason why they make good guard dogs. It is possible to raise a more socially accepting German Shepherd. To do this, they must be exposed to various people, places and situations at an early age. Obedience training at an early age is the best option. They shed a great deal of fur. They need to be brushed several times weekly to keep this at bay. They are generally easy to groom. They are very affectionate to their family. You’ll have lots of happy moments with a German Shepherd. They are also generally not only good with kids but can be as caring as parents. If you want to get a healthy German Shepherd as a companion, start by doing your research and look for reputable pet stores and breeders. A good place to start looking for good breeders is the German Shepherd Dog Club of America. Adopting a rescue is also a good option as you will not only get the pet of your dreams but also save a dog in need of an owner. For more information about adopting a rescue, check out the American German Shepherd Rescue Association, Inc.